Welcome to our monthly blog hop by the Damask Divas Close to my Heart team featuring a new paper pack from Close to my Heart each month. If you got here from Mandy’s post you are in the right place. You can always start at the beginning by visiting the Damask Divas Blog. 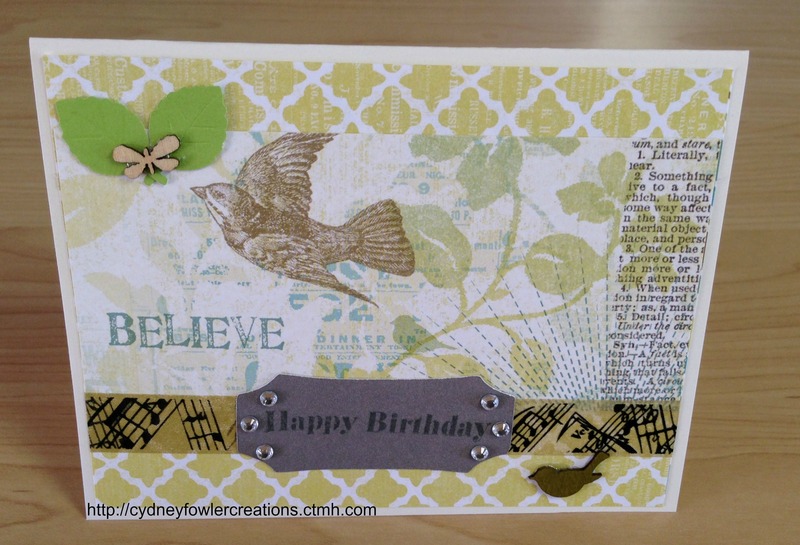 For this month’s Damask Divas blog hop I created two cards. The first card is one that we were given in a kit with supplies and pre-cut pieces at our recent Close to my Heart annual convention. Convention attendees receive many new products from the new Idea Book – it is so much fun. The card is the new spin card by CTMH. What an easy way to experience the new Sarita paper and the spinner cards. By the way, convention was a blast and I can’t wait until next year to go again. We also used the new mini stamp “A True Thank You” to stamp on the spinner circle. We used two ink pads to stamp the greeting – Lagoon and Gypsy. These stamps are so cute – I love them! Next I created my own spin card using other designs from the Sarita paper pack. 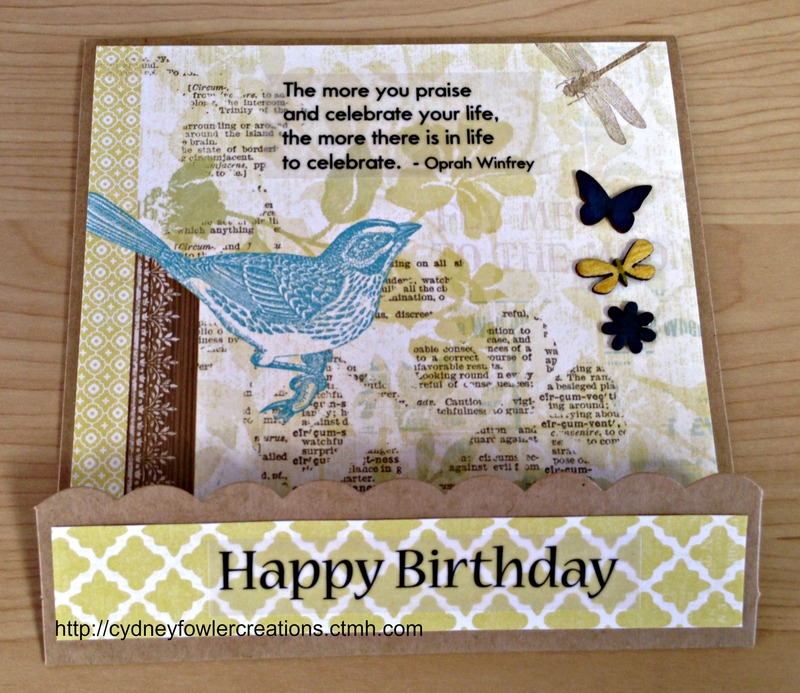 I used another one of the new mini stamps “Heartfelt Birthday Wish” – the mini stamp fits perfectly on the circle of the spinner card. 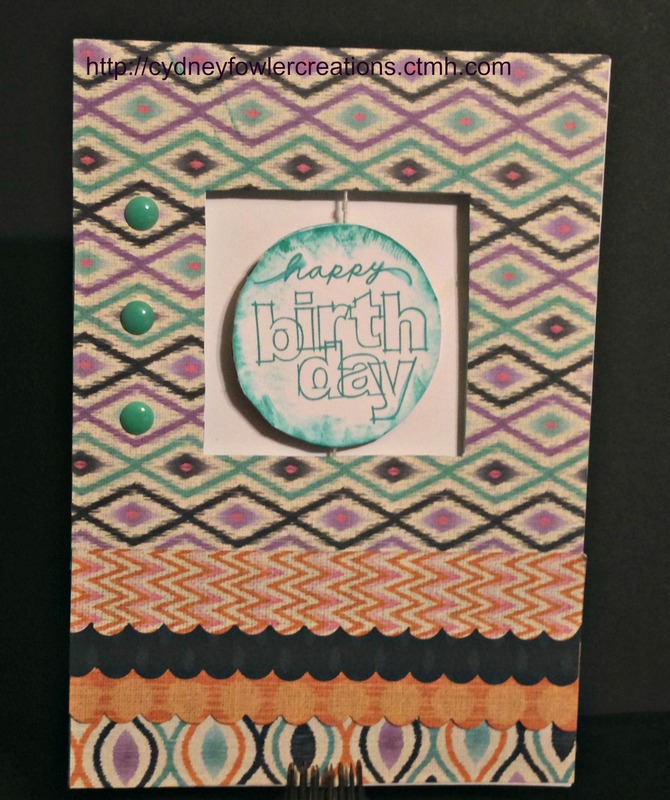 I also used the new Aqua Dots embellishments to add some detail and the new Scallop Border Punch. 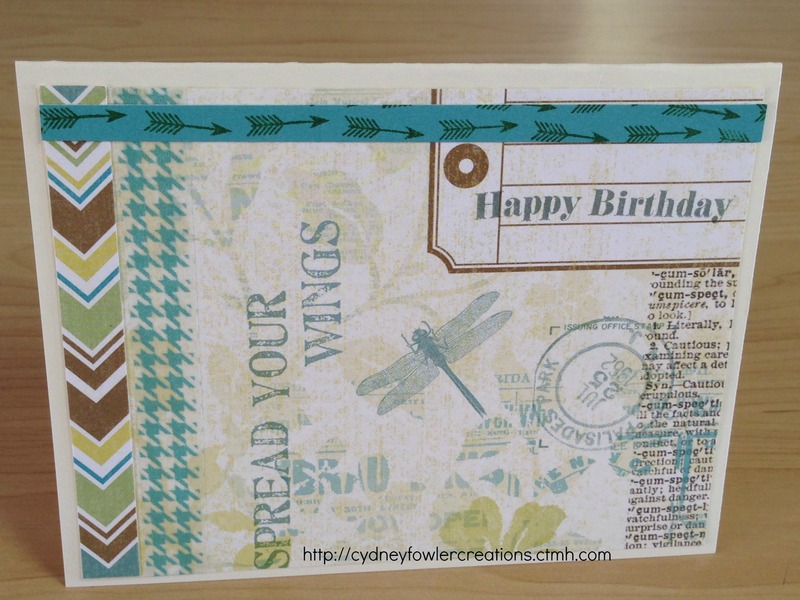 I used the Lagoon stamp pad to stamp the greeting and ink the edges of the spinner. 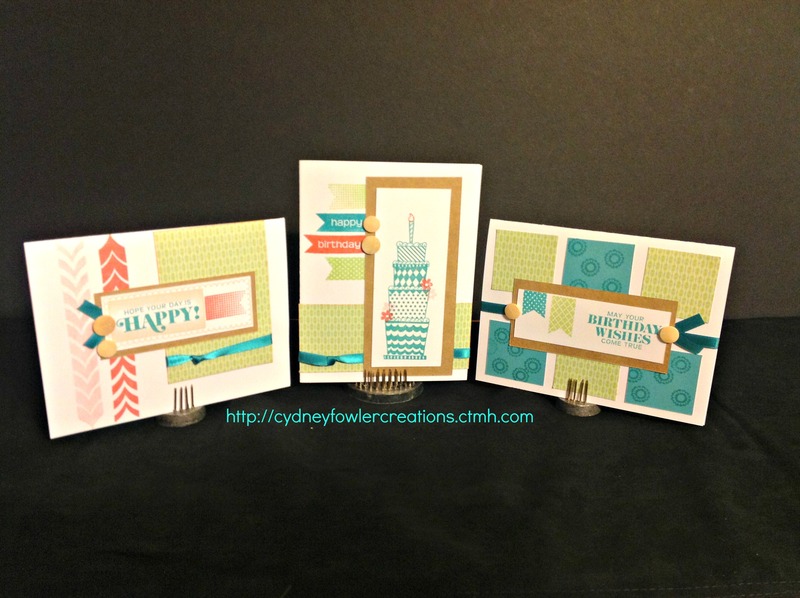 Visit my online store at http://cydneyfowlercreations.ctmh.com to browse the new items available beginning August 1, 2013 including the new “Artbooking” Cricut Cartridge exclusive to Close to my Heart. If you are interested in becoming a consultant so you can join the fun of convention and being on the Damask Divas CTMH team, contact me through the online store as above. My contact and social media information is on the store site (all consultants get a free online store when they sign up – what a nice incentive from CTMH). Next stop on the blog hop is Traci’s blog. I hope you enjoy hopping through our blogs to see our latest creations! Come back to the Damask Divas blog hop every month to get even more inspired!